EURO 2020 Guide - Schedule, Groups, Results and News. European Football Championship 2020 or how UEFA names it the EURO 2020 is the 16th tournament of its kind. It takes place in 12 different European countries and lasts from 12th of June until 12 of July. The defending champion is Portugal. It is the first EURO 2020 tournament that will also be using VAR (video assistant referee) system. The semi finals and the EURO 2020 final will be held at Wembley in England. The reasoning behind the tournament being scattered between different countries is to celebrate the 60th birthday of the European Football Championship. What also seperates EURO 2020 from previous ones is the fact that there are no automatic qualifiers. Every country has to go through the qualifiers to take part of it. We will cover anything you need to know about the European Football Championship 2020 in the next article. The tournament schedule can be found here. After the groups have been drawn you can find them here. If you are looking information about the tickets then take a look here. Rest of the need to no stuff will be covered in this article. No teams have yet qualified for the tournament. A total of 20 countries will qualify through the qualifiers and 4 of them will redeem their ticket throught UEFA Eurooa League playoffs which will take place in march of 2020. Because there are no automatic qualifiers all the 55 UEFA members have to go through the qualifiers to reach the final tournament. That includes the host nations. This creates a scenario where it is possible that some of the host nations don`t get to play in the final event. The EURO 2020 qualifier groups were drawn on the 2nd December of 2018 and the fixtures are schedulled to begin in March of 2019. All the games should be played by the end of November that year. More information on the qualifiers can be found here. The process of the qualifying is practically the same as before. Euro 2020 qualification rules state that 20 teams advance to the finals from the qualifier groups and 4 additional nations will redeem their pass via UEFA Nations League. These are also the last four teams that will earn their place at the finals because these will be revealed at the end of March 2020. If you are thinking about going to see the event yourself then you are at the right place. In the next section we will take a look at all the stadiums which the tournament is going to be held at. 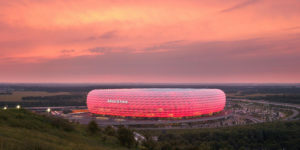 Allianz Arena is the stadium where Bayern Munich plays its home games. It was built in 2005 and has the capacaity of 75,000. 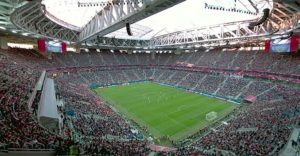 It was built to replace the old Munich Olympic stadium and its cost was around 340 million Euros. The first fixture held there was the match between TSV 1860 and FC Nurmberg. The stadion was also used at the world cup of 2006. It hosted the opening game between Germany and Costa Rica and also the semi final between France and Portugal. In 2012 the Champions League final between Chelsea and Bayern Munich was also held at the Allianz Arena. Wembley stadium is the second biggest stadium in Europe after Camp Nou. It is the home stadium for the England National football team. in addition to that the finals of FA Cup, League Cup and the Community Shield are also held there. 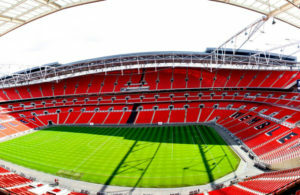 The first Wembley stadium was constructed in 1923 but it was dismantled at the start of the 21th century and the new stadium was finished by 2007. Its maximum capacity is 90,000 people. The first game ever held at the new Wenbley was FA Cup final between Chelsea and Manchester City. 757 million Pounds was needed to construct this magnificent beast. 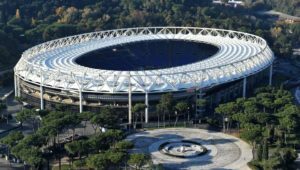 Stadio Olimpico is the home stadium for AS Roma and SS LAzio. It was built in 1953 and its capacity is 72,698. The initial goal of building this stadium was for it to act as a centerpiece for the Italian sport establishment Foro. The project was started by the dicatator Mussolini in 1928 but the Second World War halted the construction for years to come. The first fixture at the Stadio Olimpico was held in 1952 when Italy and Hungary met there. The match attracted 100,000 spectators. Back then 100,000 was the maximum capacity but it was reduced during a renovation. Many big games have been hosted there. The biggest of them all are the two Champions League finals that were held back in 1996 between Juventus and Ajax and in 2009 between Barcelona and Manchester United. Baku Olimpiya Stadionu was built in 2015. Its capacity is 68,000. At this moment no club plays their home fixtures there. 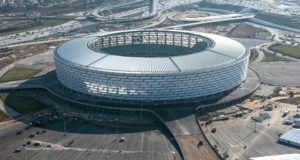 At first it was meant to be home venue for the national football team of Azerbaijan and for the European games which were later held there. The construction of the stadium cost a total of 600 million Euros. Krestovsky Stadium also known as the Gazprom Arena was built in 2017. It is the home of FC Zenit and its capacity is 67,800. It was opened just before the Confederation Cup begun. It was supposed to be opened as early as 2008 but a lot of circumstances delayed it. Finally it was finisehd 518% later than planned and the cost was 545% more than budgeted. Johan Cruyff Arena was built in the year of 1996. 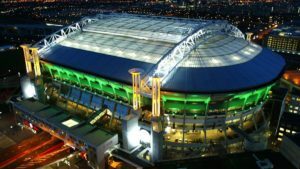 It is the home venue for the Amsterdam Ajax football team and its capacity is 55,000. At first the stadium was called Amsterdam Arena but after the death of a legendary dutch footballer Johan Cruyff it sa renamed after him in the 2018. It also a famous venue for concerts. Superstars like Coldplay, Celine Dion, Michael Jackson and many others have made their appearance at this iconic stadium. The construction of San Mamés was finished by 2013. It sa built to replace an older one which carried the same name. It is the home venue of Athletib Cilbao football team and its capacity is 53,000. The stadium was opened 102 after the last game on the old one. 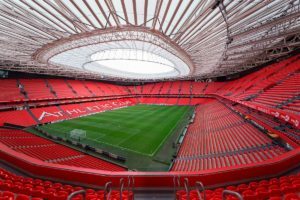 A crowd of 35,686 witnessed their home side Athletic Bilbao beating Celta Vigo at the opening game. Puskás Aréna is being built at this very moment and is not ready yet. It should be finished this year. Puskás Aréna is situated in Romanias capital Bukarest and its capacity once it finishes should be around 68,000. The stadium will replace the old Frenec Puskás stadium. 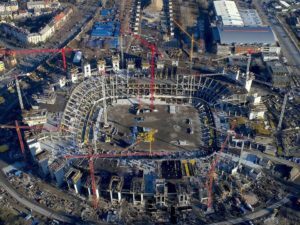 After the construction is finished the UEFA officials must check it if it is suitable to host the EURO 2020 games. 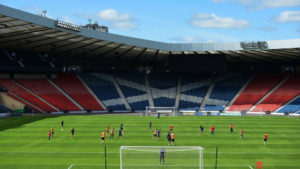 Hampden Park is a football stadium which is located in Scotlands capital Glasgow. It is a famous stadium which was built already in 1903 and renovated at the year of 1999. The maximum capacity right now is 52,000. During its long history the stadium has even witnessed a spectator number of 3 times the capacity right now. In the 1937 a total of 149,547 people joined to see the football match between England and Scotland. Parken Stadium is situated in Denmarks capital Copenhagen. The construction was finished by 1992 and its capacity is 38,000. It is the smallest stadium amongst other EURO 2020 stadiums. Both, F.C. 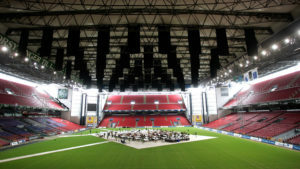 Copenhagen and the Denmark national football team consider it their home venue. The opening match saw Denmark lose 1-2 to Germany. 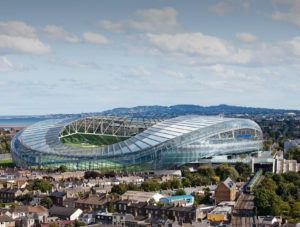 Aviva stadium, also known as the Lansdowne Road is situated at the capital of Ireland at Dublin. Its capacity is 51,700 and it`s built to replace the old Lansdowne Road. The construction was finished in 2010. In addition to Irish football team, the Rugby team also uses it as their home venue. Arena Națională is situated at Romanias capital Bukarest. It was built by 2011 and has the capacity of 55,634. 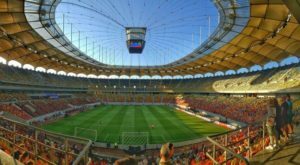 In 2012 the final of Europea League was held there, which was one of the trial games to see if Romania is ready to host EURO 2020 games or not. Both the Romanian national football team and the club Dinamo Bucurest play their home games at this venue. The tournament of European Football Championship started in the year of 1960 and it takes place after every 4 years. Until now a total of 15 tournaments have been held and there are 10 different overall winners. EURO 2016 was won by Portugal. Both, Germany and Netherlands have 3 titles, France and the Soviet Union have 2 and Italy, Czech Republic, Netherlands, Denmark, Greece and Poland have won it once. The only team ever to have won back to back titles is Spain. They triumphed in 2008 and in 2012. The European Football Championship is the second most followed tournament in the world. The first one is the World Cup. Germany has played the most games in European Championship. Their total tally is 47. They have won 26 of them. The teams with the most losses are Denmark and Russia. Both have lost 14 games. Italy has managed to end the most matches with a draw (16). Michel Platini and Cristiano Ronaldo are leading the goal scorer table. They have both scored 9 goals during the tournament. The third place is held by Alan Shearer who has scored on 8 occasions. Edwin van der Sar has tge most clean sheets (9). The only man who has been inolved with a team in 5 cosecutive tournaments is Iker Casillas. We hope that you have found everything you needed to know about the EURO 2020 tournament. As there is still some time until the tournaments kicks off feel free to read some news about it from here.